while much of the country languishes underneath pounds of snow and ice, there is sunwashed brick and al fresco dining here in Pasadena, California. The sunshine really only lasted for about half the day before clouds began rolling back in and we’re getting rain the rest of the week, but it was really nice while it was out. 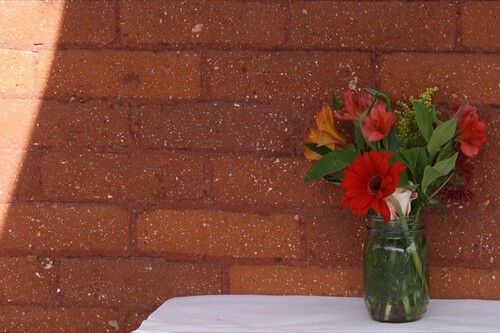 There was something about the flowers against the texture of the brick and the crisp white cloth that really appealed to me here. This entry was posted in Uncategorized and tagged gratitude, Pasadena, photography. Bookmark the permalink.